To prevent mold growth after a rainstorm, call the water damage Thousand Oaks and mold removal Thousand Oaks experts with 911 Restoration Ventura County. Upon arrival to your property, our water damage Moorpark and mold removal Moorpark experts prepare to conduct a free visual inspection. Once they detect the main source of your leak, the first thing they do is shut it down so you don’t acquire more damage. Finally, each homeowner is provided a comprehensive repair estimate and a detailed timeline of the repair process. 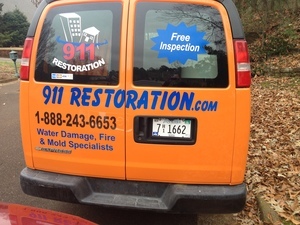 If you suspect you have a leak or have mold growth from a past rainstorm, call the water damage Thousand Oaks and mold removal Thousand Oaks experts with 911 Restoration Ventura County. We understand a pipe can leak at any time, so we make our team available 24/7/365, all year round. As soon as you call, an IICRC certified expert will be dispatched to arrive within 45 minutes, so you get solutions fast! With our staff’s experience, knowledge and insight into to the restoration industry, we will find you long-term solutions regardless of the size of your disaster. As long as the water source is coming from inside of your house, our water damage Thousand Oaks and mold removal Thousand Oaks experts are your one-stop shop. 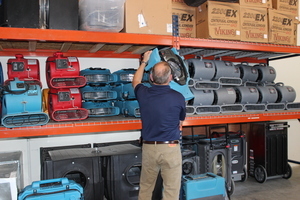 By using state of the art equipment and high-powered machinery, our water damage Thousand Oaks works to extract the all stagnant water quickly and efficiently. Furthermore, our mold removal Moorpark experts rely on advanced technology such as infrared cameras to detect stagnant water in hard to see areas. Thermal technology allows us to pinpoint lingering water in wall cavities, ceilings and under floors. Our water damage Moorpark and mold removal Moorpark experts have the experience and knowledge to make your home safe and comfortable for you and your family. We are confident in our work, and we know that we can restore it even better than its original condition. Don’t let a small water leak become a huge repair bill and call the water damage Thousand Oaks experts with 911 Restoration Ventura County. Any homeowner that experiences a water leak or mold growth in their home, know it is not easy and it is overwhelming. If you are a homeowner with this problem, don’t worry and call the water damage Thousand Oaks and mold removal Thousand Oaks experts with 911 Restoration Ventura. Our experienced project managers are here to make this situation as seamless as possible. By being the middle man between you and your insurance company, you don’t have to wait long for answers. We make sure you get your paperwork right the first time you submit it to your insurance company. While our office works with you on your paperwork, our water damage Thousand Oaks and mold removal Thousand Oaks experts meet with adjusters as needed. Our team has your back from start to finish and more. 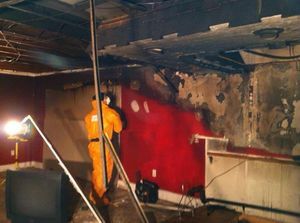 Call the water damage Thousand Oaks and mold removal Thousand Oaks experts with 911 Restoration Ventura County, today!